Digital Dharma | Organic, non-toxic music for the soul. Organic, non-toxic music for the soul. Welcome to the official Digital Dharma web-site. Thanks for visiting. In a world of chaos and confusion may you find this space refreshing. A small sane oasis in a world gone mad. The complete catalog of my music is available to you here, my artwork, and some HD video promos too — check the tabs above. Everything I have released you can hear on this site for free without hassle or restriction — you don’t have to install any additional software or register any personal details. Listen to whatever you want, whenever you want — it’s that simple. Just click on the “Music” tab above. This link will take you directly to my catalog at Bandcamp — where you can buy and download complete albums, single tracks, or just listen for free. The music of “Digital Dharma” — (using the quotes when searching is important) — is also available on iTunes, Amazon, Google Play, Microsoft Store, Apple Music, Deezer, YouTube Music, Spotify, Tidal and MediaNet. It’s fascinating how the Internet has changed the whole landscape of music distribution and how technology has revolutionized music production forever. Now anyone with good technical skills, determination, and creative flair can produce extremely high-quality recorded works. Previously this was only reserved for those with record contracts and even then they were mostly limited by time and budget restraints. Any decent home studio can now record, edit and mix to a standard of technical excellence that rivals some of the best and most expensive studios anywhere in the world. Using a wide range of modern plug-ins today it is possible to accurately re-create practically any sonic environment found in the “outside world”, and alter sound in unimaginably creative ways. A dream come true! The creative possibilities are truly mind-numbing. It’s created a level playing field for everyone, basically more power and creative control to the artist. Far better capability to express what we really are. That’s the real spirit of freedom and it’s priceless. I’m also passionate about the freedom of spirit that comes from a life-long practice of yoga, meditation and Self-enquiry. When you listen to my music perhaps you might sense some of that mysterious spirit. It’s what it’s all about. It’s exactly the same spirit that drives us all… it’s where all expression through creativity comes from. Far too many to list but practically everyone from Dylan and the Beatles onwards. Andy Warhol, Bill Hicks, George Carlin, Monty Python, Peter Cook, Spike Milligan, and some of my old ship-mates for exposing the pompous insanity of so-called “normal” life. To all the awake Seers and Rishis, past and present, who in the name of Truth expose the illusion so others may see their way to freedom. May that invincible spirit of freedom continue to be the guiding light within all our hearts. Album 17 — Phowa is completed and now available. 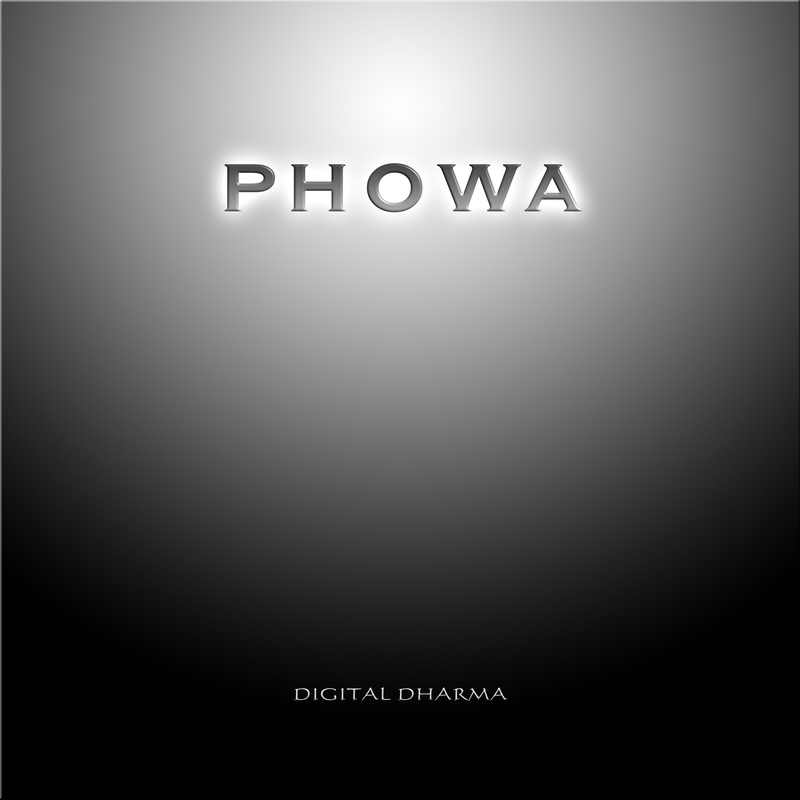 Album 17 — “Phowa” — released 05 April 2018. Listen to it for free. Click on the Music tab above. Enjoy. Get all 17 Digital Dharma releases available on Bandcamp and save 30%. I’d like to extend my respect and gratitude to Edward Snowden, Julian Assange, and others, for revealing the unprecedented invasion of our privacy by NSA and GCHQ. We can all play an active part in resisting this unwarranted violation of our basic human right by using Duck Duck Go or StartPage for safe, anonymous, private browsing. To maintain anonymity on-line, protect your privacy and defend against network surveillance and traffic analysis, use a Virtual Private Network. A VPN tunnel encrypts your connection to the Internet. This impenetrable tunnel prevents criminal organizations, your ISP or even your government to spy on your communications. There are many to choose from — I currently use ProtonVPN based in Switzerland. For private and secure/encrypted email I use Mailbox.org based in Berlin. Also for private and secure encrypted email I recommend ProtonMail based in Switzerland. For more information on how to protect your privacy click here. Digital Dharma does not support social networking so does not use Facebook, Twitter, Google+, YouTube, Linkedin or Myspace, refuses to own or use anything “smart” or use Dropbox. All content ℗&© 2008-2019 Digital Dharma and digitaldharmamusic.wordpress.com.